Team Membership Form & $400 Team Payment Due February 3rd. Teams and players who played in the 2018 Fall Season will receive a partial credit due to the number of games rained out. The player credit will be in the form of a site credit that must be applied when registering. 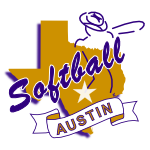 Check out this Softball league '2019 Spring Womens Division' with Softball Austin!